Please see below some information about our Christmas dinner. 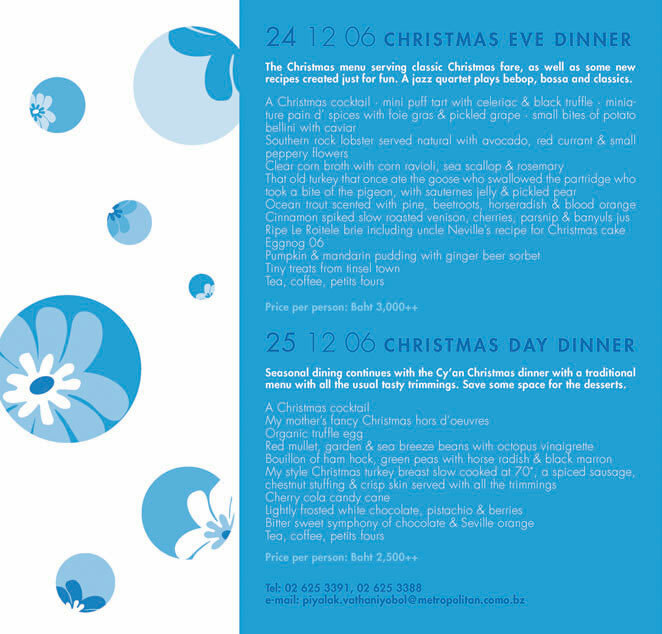 On 24th Christmas Eve, classic and new fare is served with the sonic backdrop of a supper club quartet. On the 25th, the bill of fare is al little more traditional and equally tasty. Hope you can make it and please email piyalak.vathaniyobol@metropolitan.como.bz or call 02 625 3391 for bookings.